“The discussion we had was about moving forward with what we have and what we want to accomplish,” he said. “We want to do everything to put (rookie guard) Collin (Sexton) in a position to be successful. We’re going to try and move forward and keep this team competitive. The Cavs have gone 1-2 under Drew, who didn’t want to proceed this season without assurances from the organization. Drew promised to remain professional and do his job during the talks, and the 60-year-old kept his word. 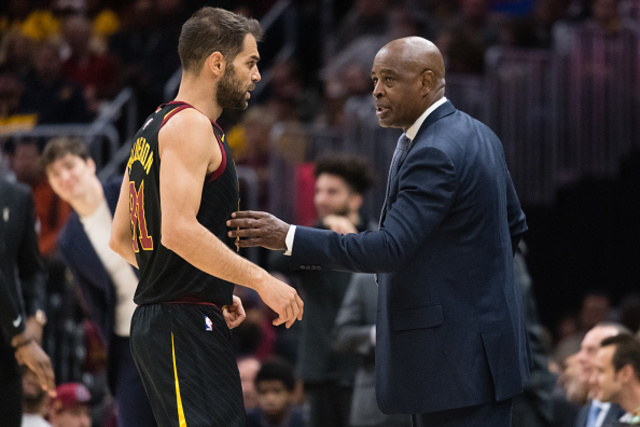 And beyond the team’s rough start, the Cavs are also trying to cope minus All-Star forward Kevin Love, who may be out two months or more following foot surgery last week. If that wasn’t enough, the Cavs have also been dealing with guard J.R. Smith wanting to be traded, Sexton struggling and former assistant Jim Boylan filing an age discrimination lawsuit against the team.